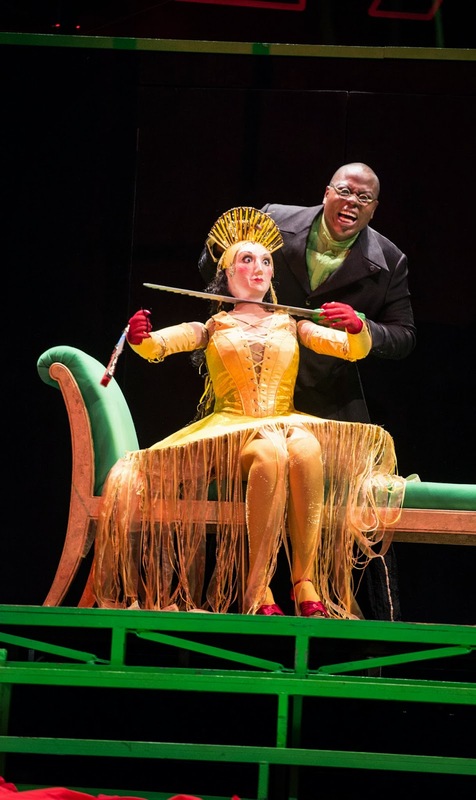 With a magnificent, agile bass-baritone, plus a commanding stage presence, Alfred Walker is totally unforgettable as the four nemeses in The Tales of Hoffmann. According to The Seattle Times, his performance includes singing of "showstopping quality." Dressed in blue with slick shades, he initially draws audience members in as the haughty Councilor Lindorf before taking them on a ride through the insane world of the unhinged Coppélius. As Dr. Miracle, he oozes malevolent mystery, and as the smooth-talking Dapertutto, he enslaves Giulietta with seductive prowess. 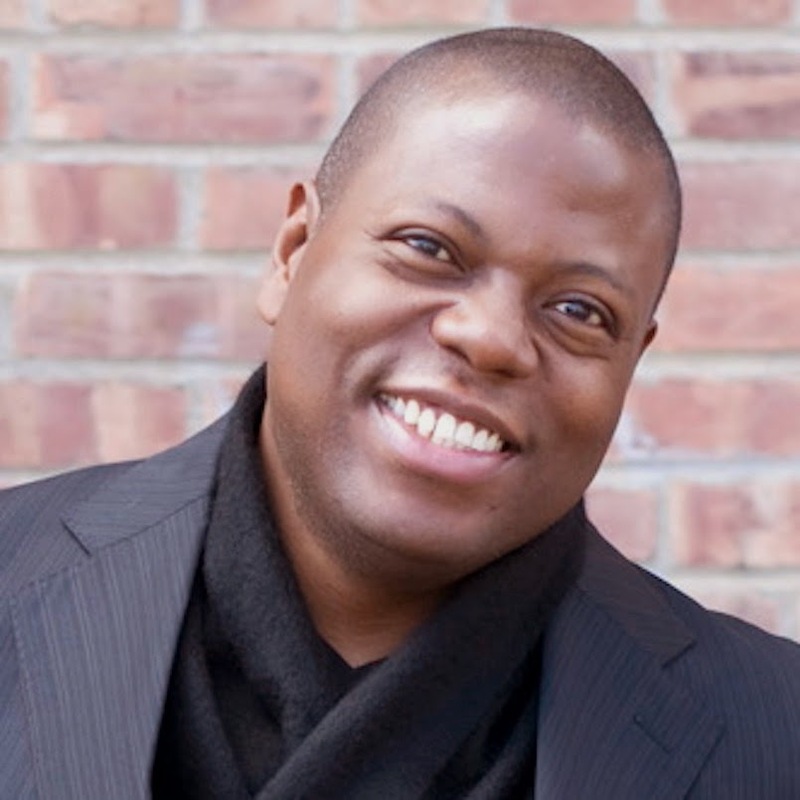 We spoke with this New Orleans native, (who now calls the woods of New York’s Hudson Valley home) about his return to Seattle six years following his debut here as Orest in Elektra (2008). 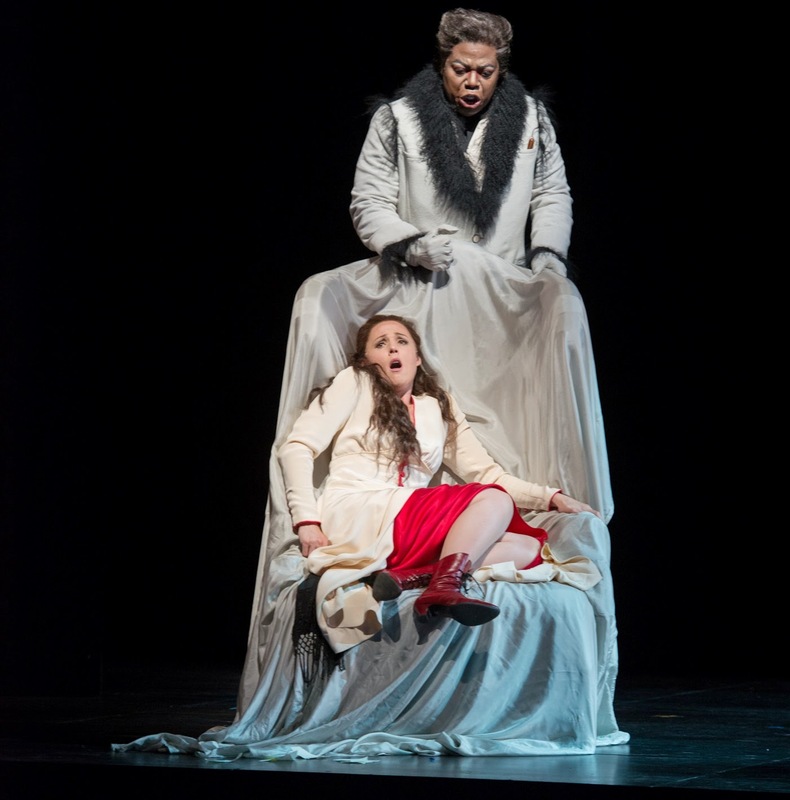 What’s the challenge about playing the bad guys in The Tales of Hoffmann? They all have to be bad, interesting, and connected by a common thread—the challenge is to find that. It’s both mental and physical. The villains are all crazy and off-kilter, but in different ways. You have to find how to make each character come to life physically—each character needs to walk differently and sound different, too. Dr. Miracle. His part is the closest to what my voice does naturally in terms of range and style. But I love all of them. Alfred Walker (Dr. 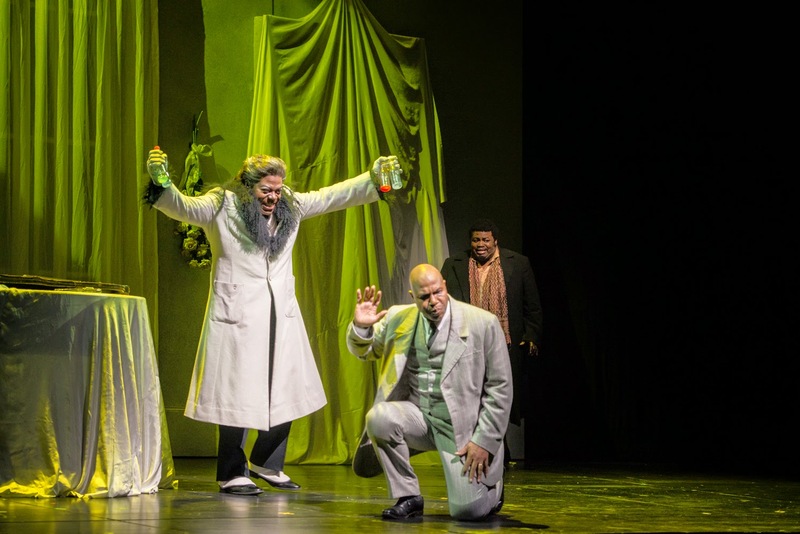 Miracle), Arthur Woodley (Crespel) and Russell Thomas (Hoffmann) in The Tales of Hoffmann. Was this part originally written for four different people to sing? With your voice-type, do you often get cast as the villain?It depends. Villains are often lower voices, but you have to have a quality in your voice that makes you intimidating, and not every deep voice type can do that. Some lower voices are beautiful; others have more range and a variety of colors. Usually, I either play the villain or someone really strange. 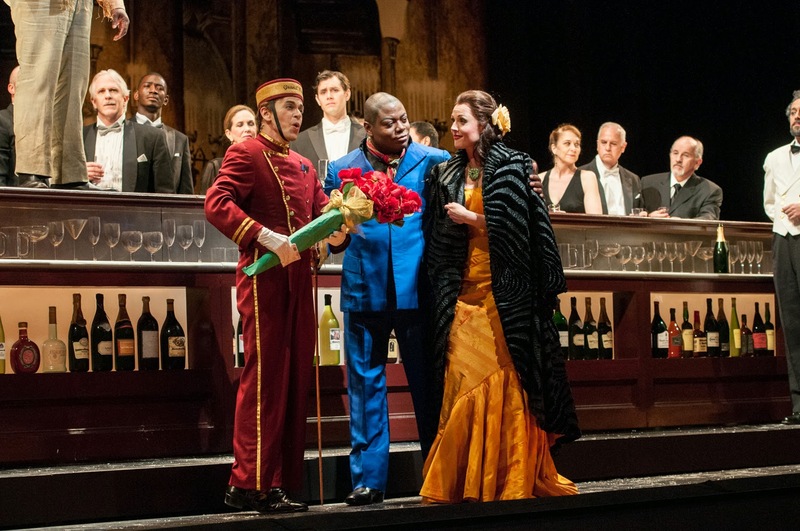 Keith Jameson (Andres), Alfred Walker (Lindorf) and Leah Partridge (Stella) in The Tales of Hoffmann. Have you come to terms with that? Yeah, that’s how it goes. What’s different about this production? For one thing, the costumes are fantastic. The first day I got fitted I said, ‘Wow!’ I also love Chris Alexander’s direction, as well as all the stage magic and tricks. Do you have to do any of those tricks? They’re all kind of done for me. I just wave my hand, and they happen, which makes me look pretty powerful. Do you have to be over-the-top or, is there more subtlety in your approach? Both! While these characters are over-the-top what makes them interesting is that they can change unexpectedly. You don’t know what to expect. One minute they’re calm, the next minute, they’re angry and shouting. How do you juggle the demands of your career with family and relationships? It’s so hard. We have pets and a lot of friends; I also have a big family in New Orleans. In the morning, I usually dedicate my time to phone calls, checking in with family and friends. Being on the West Coast, it’s easy. When I’m in Europe, it’s harder. Skype is also extremely helpful. I need to maintain these relationships; they’re part of the reason I’m doing this. I think it’s important not to do anything to tip off your body that something big is coming up. I know some people who don’t eat a certain item on performance day, or they don’t talk at all. That just makes me too nervous! I need my regular routine. What do you enjoy most about coming to Seattle? The coffee! Also, I love the people in Seattle. You guys are different…you’re West Coast people, but different from California (and that’s a good thing!). I love how you embrace your weather here and find beauty in it. When I see people walking around without umbrellas, I put mine away, too. I want to fit in. I have my raincoat and that’s enough. I love that. So, what’s The Tales of Hoffmann about? Everyone seems to have a slightly different answer. I think it’s about the villains! They are Hoffmann’s demons, his shadow side. In each story, he intends to do something, but I destroy it. All of us have a shadow side, and we fight to keep it at bay, that’s part of what makes us human. Also, that’s what drives this particular opera. Alfred Walker (Dr. 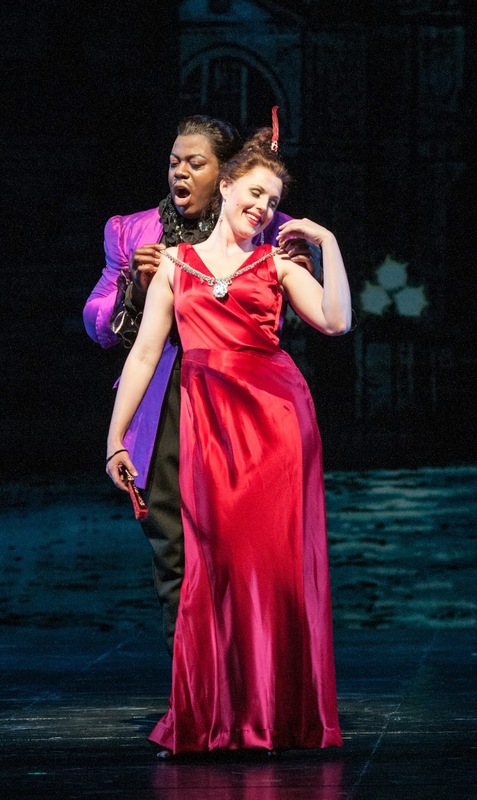 Miracle) and Leah Partridge (Antonia) in The Tales of Hoffmann. When the prologue starts and the chorus comes out and starts singing before Hoffmann comes in. I love that music so much. It makes me happy. Our college had a chorus, and a good friend of mine was interested in auditioning. You see, there were quite a few cute girls in the chorus (every time I tell this story, I’m kind of embarrassed!). I auditioned for the choirmaster, and I think I only got in because they needed lower voices. The choirmaster asked, “What voice type are you?” and I said, “A tenor!” (laughs) That’s how little I knew about music. He said, “You don’t sound like a tenor.” We started vocalizing and I started screaming. I think I sang a low C, and he said, “You’re definitely not a tenor, you belong in the bass section.” From then on, I started voice lessons with Phil Frohnmayer, a Professor of Voice at Loyola University. He said, “You don’t know how to sing at all, but I think you have a world-class voice.” When I finished with my psychology degree, I decided that I was going to pursue opera. My family thought I was nuts. Phil actually took me through years of studying. I did the Young Artists Program at The Met, but he’s been my only teacher and a real father to me. 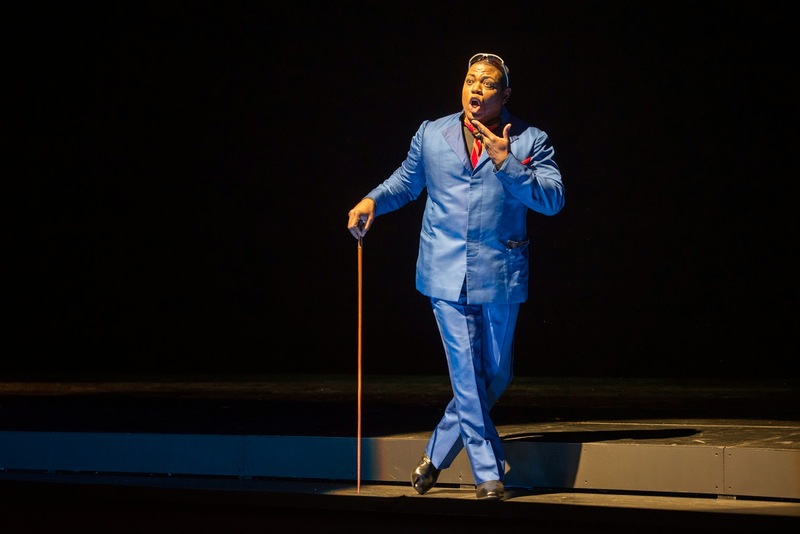 Alfred Walker (Lindorf) in The Tales of Hoffmann..